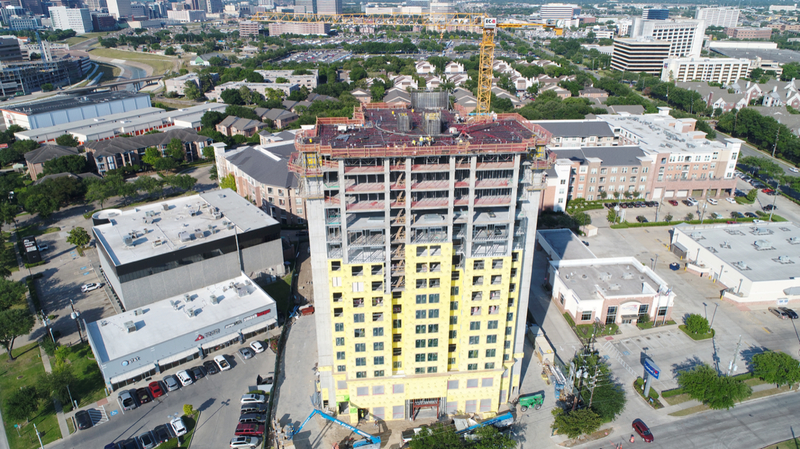 HOUSTON – Arch-Con Construction of Houston has topped out the 16-story Residence Inn Medical Center. The 182-room hotel is developed by Moody National Cos., a Houston firm led by Brett Moody. The hotel, located within walking distance of NRG stadium, will be complete in February before the Houston Livestock Show and Rodeo, said Michael Vaughn of Arch-Con. The project team includes developer Moody National Companies, architect Mitchell Carlson Stone and construction manager The Mathis Group.